Hello sewing friends. Thanks for all the love for the Jonis in my last blog. Despite my moans about the neckband, they have had a lot of wear already. 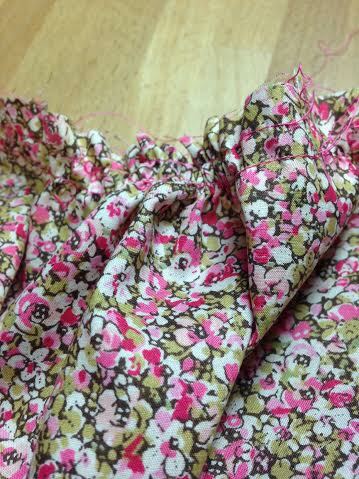 And so, onto my latest make – yes, it is me, you didn’t recognise me in a plain dress, did you? Plain grey? Me? No print, no flowers or purple swirls, no feathers or spots or stripes!! And yes, I am a little out of my comfort zone!! The pattern is the Fringe dress by Chalk & Notch. It’s a dress I hadn’t heard of until I saw the version made by my Instagram pal @like_my_granny. It is a downloadable PDF of many pages, which means it needs time and space to stick it together and trace it out. I made view A, with the button placket. View B has a notch neckline. My grey fabric is a cotton chambrey from TrixieLixie, its light and drapey and I needed to pay attention to the right and wrong sides, as it was easy to muddle them up. Compared to some of my recent makes, the Fringe dress was a little more complicated, with more pattern pieces and more stages, but it was quite soothing to lose myself in the process of making it. That’s part of the joy of making our own garments, isn’t it? The making is nearly as important as wearing! After sewing the darts with the waist ties, and the sleeve cuffs with the button tabs, and the inseam pockets, and gathering the skirt and attaching it to the bodice I tried it on. Oh dear, I know it is supposed to be a relaxed fit, but this was enormous. I couldn’t put my hands in the side pockets, as they were so far down my thighs that they were almost on my knees!! This poor dress needed some serious structural alterations. I took the skirt off, opened the front bodice darts, took out the waist ties. I chopped a whopping two and a half inches off the bodice and an inch off the skirt. 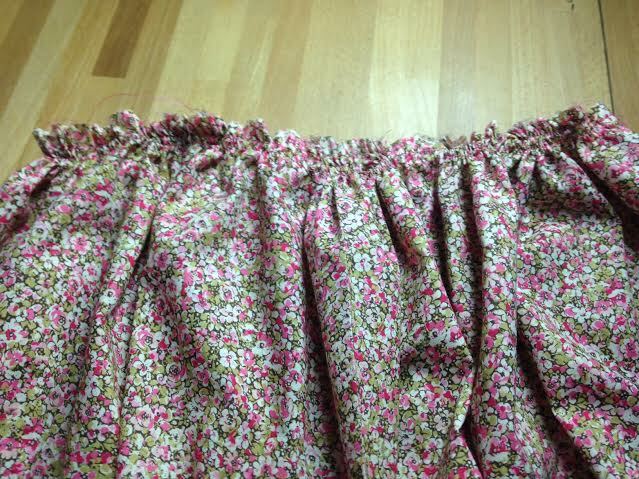 I resewed the waist darts making them an inch wider before reattaching the skirt. Finally, I had a dress that fitted – it still has a relaxed fit, but at least now it doesn’t look like I am a toddler wearing a grown up’s borrowed clothes. I sewed the button placket closed as the buttonholes don’t need to open – despite them being the best buttonholes I have ever managed on my old machine. I wasn’t sure what buttons to use and asked for votes on my Instagram account. My button options were bright red, pearly red ones, pearly purple, bright blue or grey metal ones. Metal won the day, making my grey dress even more grey! Despite being a cotton dress, I think I will get some winter wear out of it, with tights and boots. I am already thinking of another, view B with the notch neckline, perhaps in a blue and white ikat print. So, my foray into plain fabrics didn’t last long, did it? Whether you are sewing a plain or a printed fabric, happy sewing to you. We are giving away a huge knicker making bundle to someone who shares with us their knicker making exploits. During the cold months, wile away some time making a pair of your very own knickers. All you need to do is post a picture online of your bestest knickers made with a TrixieLixie knicker pattern. Use the hashtag ‪#‎trixielixieknickers‬ so we can find it and we will randomly select a winner on the 1st March 2016. There are lots of knicker kits to choose from, including the new Liberty Art fabric range. We can’t wait to see some gorgeous lingerie popping up! 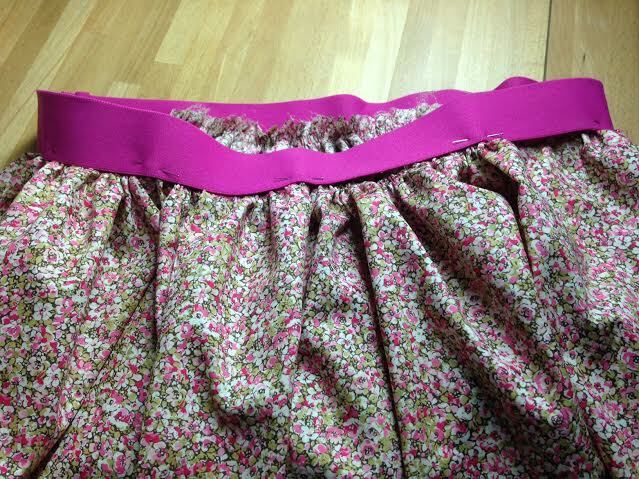 Here is a really easy, quick skirt that you can make in less than an hour. All you need is a metre of fabric and a metre of thick elastic. I used some of our lovely Regents Street Lawn, it is not too thick so it drapes beautifully. 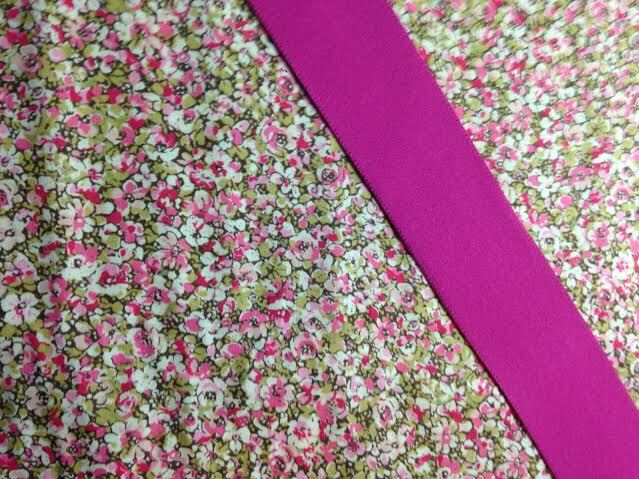 The lush pink elastic is a new addition to the website and I can already see myself using it in all sorts of projects. 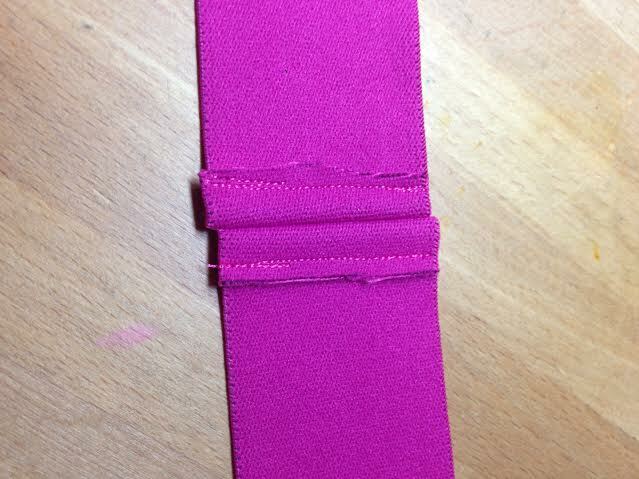 Wrap the elastic around your waist add 5cm to the length and cut it, sew the two ends together with a 5cm seam allowance, press open and top stitch each seam down. Fold the fabric in half and cut it, place the two pieces together with right sides facing each other sew these seams using a 5cm seam allowance, you should now have a tube. 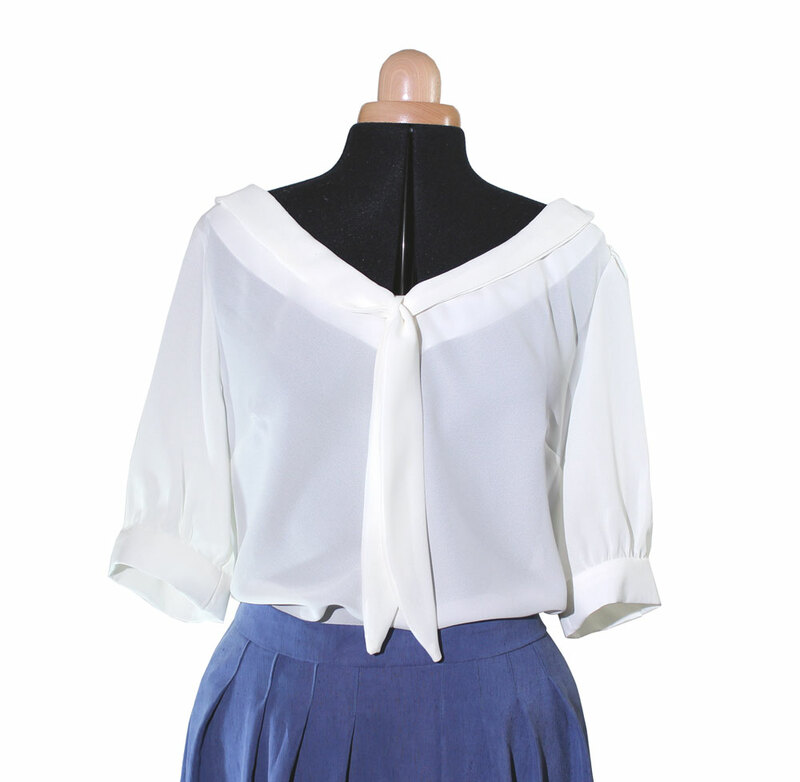 So pull the tails of thread until the skirt top is the same size as the elastic waistband. Put your skirt and elastic together with the wrong side of the elastic facing the right side of the fabric, use a zig-zag stitch to attach the elastic to the fabric, sewing close to the edge of the elastic will give a neat finish and use a thread to match the elastic. All you need to do now is the hem! 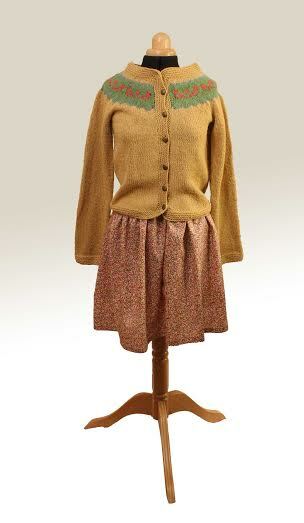 I have finally finished my vintage style cardigan which I shall talk about in another post, but it looks so lovely with my new skirt don’t you think? It is such a quick and easy make that will make a great present. This week I decided to take part in not just one sewalong, but two! 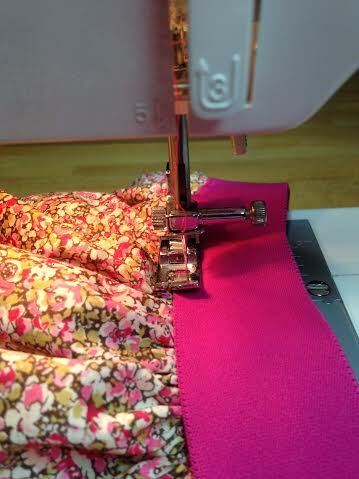 I joined in with the Sewaholic Belcarra Blouse sew-along and the Colette Mabel Skirt sew-along. I have already made a couple of Belcarra blouses and I wanted to make this one a bit different so I used some of the fabulous new lace fabric that we have in stock to make some lacey sleeves on this black cotton lawn version. The Mabel skirt I made is the longer pencil skirt version and I used light weight cotton jersey knit in glamourous red. Both patterns are really easy to make and it only took me a couple of days to put together this gorgeous outfit! 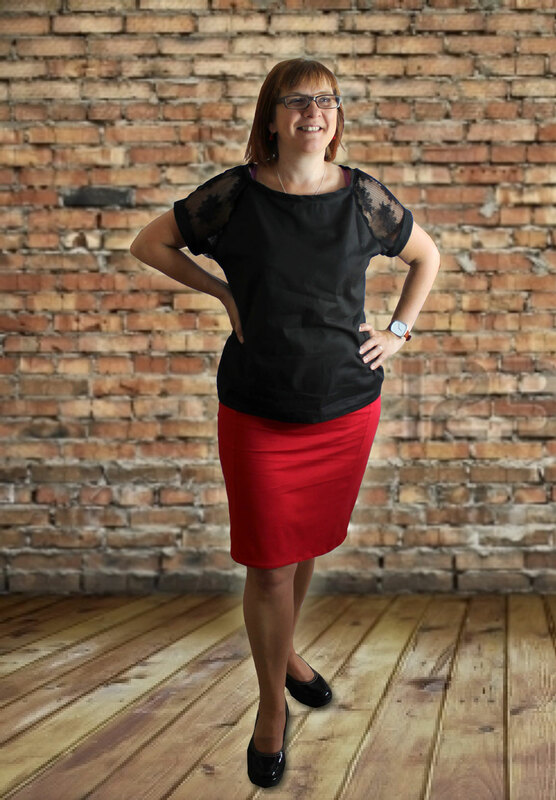 I have also signed up for the 1 project per week sewing challenge that fellow blogger bernieandi has organised so this outfit is my week 1 for that too, ticks lots of boxes! Our lovely friends at Fabric & Flowers are organising a Valentines Knicker Swap which we are sponsoring! To get involved take a look at the Fabric & Flowers blog. You will be making a pair of knickers to send to someone who will be making a pair of knickers for you! We are offering a 15% discount on our knicker kits using the code SEWKNICKERS at the checkout, valid from now until the 8th February 2014. There are loads of kits to choose from, just click on the one you like and it will take you straight to the website. We are also offering a prize for all you knicker making enthusiasts, enough fabric and knicker elastic to make 2 more delicious pairs of knickers! I made a really nice outfit before Xmas using 2 of my favourite Colette patterns, they were so easy and such fun to make that we have put everything together to make a couple of kits for the website so that you can get everything you need to make them yourself. This is also available as a kit and is also a beginner sewing pattern so it is quite easy to make. If like me you enjoy a good sew-a-long there are 2 coming up that look great, By Hand London are doing a Georgia Dress sew-a-long starting on 27th January which my daughter is going to be joining in with and also the Albion coat sew-a-long on the Coletterie you could win a Bernina sewing machine with this one! I think I might give it a go! 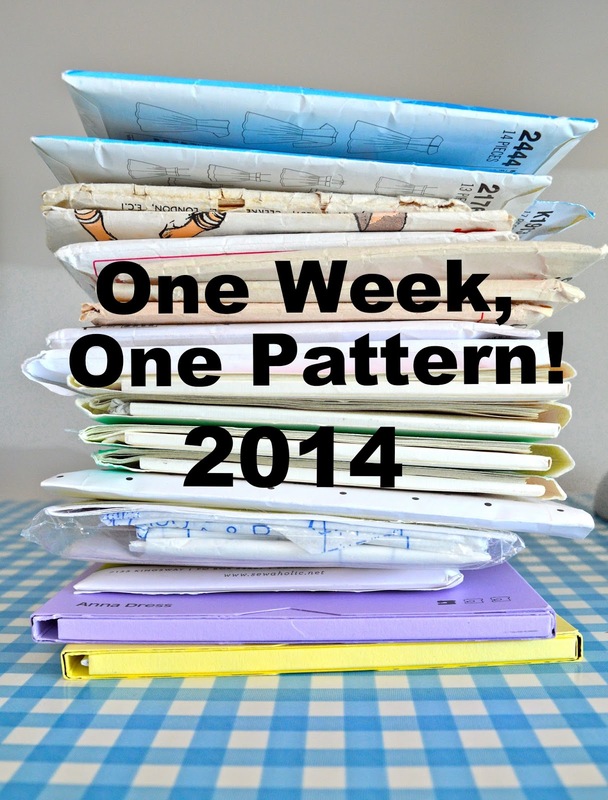 We have got 10% off at TrixieLixie at the moment so if you want to buy one of these patterns nows the time! I will be seeing them all next weekend so I will try and get them to model their outfits for me and post a few pictures.